Twenty-three Ahmadiyah followers, mostly women and children, have continued to seek refuge at the East Lombok Police station, West Nusa Tenggara (NTB), following their evacuation to the police office on the weekend. 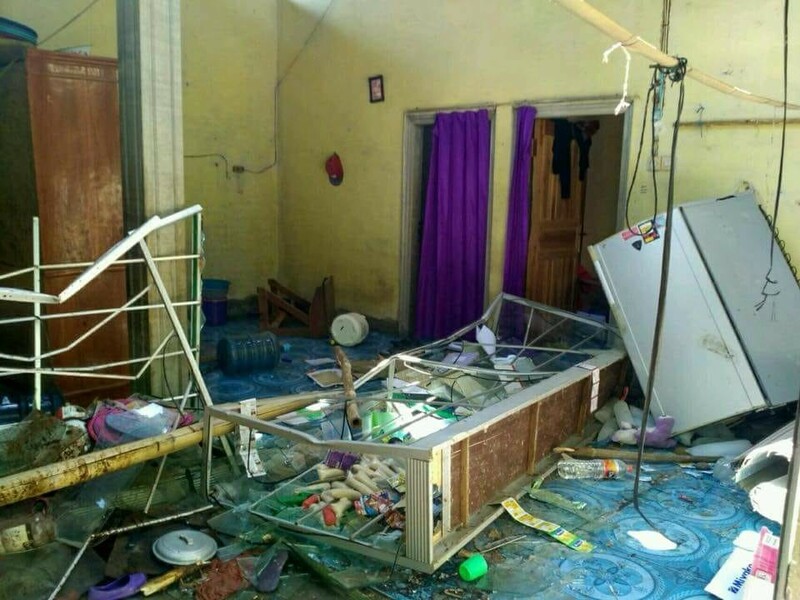 The Ahmadiyah members had to leave after an angry mob destroyed their homes in Gereneng village, East Sakra district, East Lombok regency, on Saturday in an attempt to expel them from the area. Eight homes of the Ahmadiyah members were damaged in the attack. “We will soon repair the damaged houses, and the mediation process has begun. The [legal] process against perpetrators of the destruction will be conducted by the police,” said NTB police spokesperson I Komang Suartana on Monday. The attack happened at noon on Saturday. The incident began from a small quarrel among elementary school children who were studying the Quran at the house of an Ahmadiyah member. The children mocked each other, prompting some of them to go home and report the incident to their parents. In only a short period of time, around 30 people gathered in the area and started to pelt the houses of several Ahmadiyah members. Komang said there had been clashes between Gereneng residents and Ahmadiyah followers since 1990. There was even a riot against the Ahmadiyah community in 2001. East Lombok Police chief Adj. Sr. Comr. Eka Faturrahman said the attack was a culmination of the residents’ anger toward the Ahmadiyah community, which had promised that they had repented but continued to return back to their Ahmadiyah belief. He said the situation had stabilized, but the residents demanded that the Ahmadiyah community never return to their village. “There is a demand from the residents that there must be no Ahmadiyah in their area. This is because the Ahmadiyah followers have repeatedly said they had repented. They have even signed a statement letter [to quit their belief], but they always return back to this belief again,” Eka said. Later News state that the displaced persons have been given another safe accommodation (outside of the Police Station). Very sad indeed, how fear Ahmadiyyah Muslim live in Lombok . Hiw are about you Rafiq? Does Ahmadiyyah (HQ) has the sense of responsibility to build their house again? Instead of building a luxurious mosque in the Westren country? Hopefully Ahmadiyya HQ will has a sense of responsibility to build their houses again in their own propery. May God give them the strength to face the dayly life in refugee place. Actually some houses have been rebuilt several times already (and torn down again), but, yes all efforts are being done to repair / reconstruct these as well. And, yes, God is giving them strength. They are smiling and saying ‘it was just a house’. They are happy and proud to have been able to sacrifice something and looking to the future with confidence. The local Jama’at is seeing the present difficulties as a chance to ‘repair’ the situation for all. Hopefully the authorities will see it that way too.